Registration 7:00am for 8:00am start. 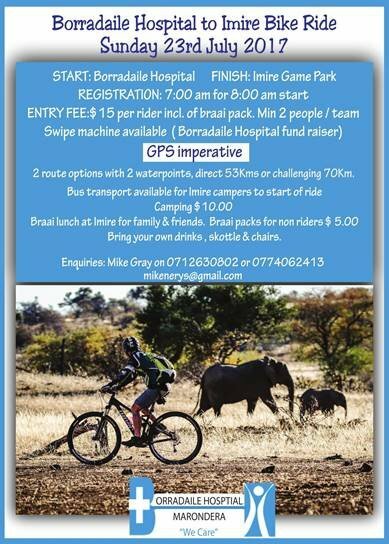 Entry fees $15 per rider include of braai pack. Minmum 2 people per team.Swipe machine available. ( Borradaile Hospital fund raiser).